This post is sponsored by Mirum, all opinions are 100% my own. Clothing diapering lasted two weeks (with twins that was an insane idea). They didn’t sleep through the night magically. We got them mixed up more times than I can count. We were so tired we forgot to feed the poor Beta fish and he died three weeks in. That last one is one that most moms never see coming. Having one twin born at 3 pounds, she needed nutrition and couldn’t wait. Generally you end up with the formula the hospital used, but after you get home don’t feel like that is the only option. One formula option that is new to the market is love & care available on Amazon. It’s a great choice for infants and was inspired by mother’s milk. It features DHA and Choline, that may support brain and eye development. It’s also Non-GMO, kosher, and gluten-free. 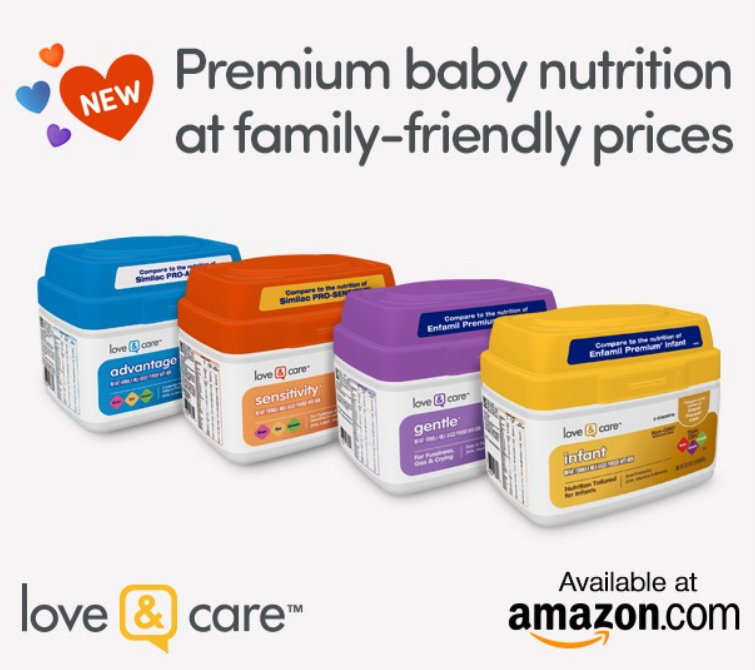 love & care has the same complete nutritional value that Enfamil Premium Infant Formula provides, but at a much better price. Top of the line nutrition at a great price, is the best of both worlds. Amazon prime members can save up to 15% off with subscribe and save (plus you never run out). You’ll also always get free prime shipping on every order. 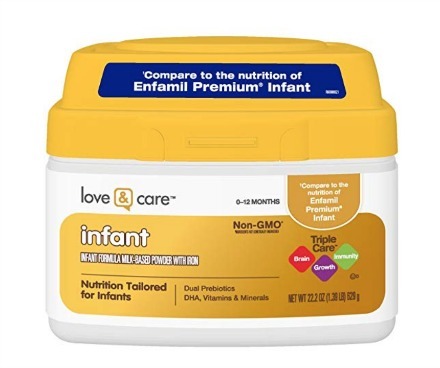 You can grab the love & care Infant Milk-Based formula, 22.2 oz, on sale right now plus get the 15% off subscribe & save discount (it is a good $10 cheaper for the same size name brand formula)!! This infant formula is also going to be added to the Amazon Family program which will give you even more off with subscribe & save orders! I would encourage you to at least try love & care and then leave a review on Amazon to help other moms be in-the-know. You can also check out the reviews that are already there, it’s a lot of 5 stars!